In today's era, our iPhones thrives to carry out most of our work. They have become our staple need! But, what if any problem hampers the smooth flow of your work? The worst could be getting locked from your own device in an unexpected way! Well, before delving into the pangs of disappointment, uplift yourself a little as you have not missed the boat yet! The ultimate is by completely resetting your iPhone. But, before doing that you must perform a free backup via a smart tool such as Tenorshare iCareFone. Let's now discover ways on how to get into a locked iPhone without using passwords! Why iPhone will be Locked and Is It Possible to Get into without Passcode? Getting locked out can be quite a pain especially when you are in dire need of your iPhone in an urgent situation. 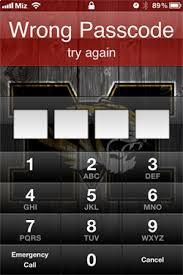 Usually, iPhone gets disabled when one attempts to give 10 wrong attempts of the password. There can be a chance that your child must have been fiddling around your iPhone or that some other person must have tried to invade your privacy by trying out their hand in unlocking their device. That would have resulted in locked iPhone. Even if such a situation has arisen out, it's possible to get the device out of locked situation and you can still sort out a way to combat such a situation. One can make use of a multiple organic ways, useful in reverting back your iPhone back to its normal state! So to understand the whereabouts of each method, the following portion will enlighten you. Just like Google Assitant, Siri works exactly the same. From fetching the web-related results to making calls, Siri does it all! Moreover, it can assist users in getting out from the problem of getting locked from your own iPhone. But, one has to brace up the strength of bearing its complex set of procedures that eats out a good amount of time for unlocking your locked iPhone. The famous media player, iTunes can be useful in restoring your locked iPhone without the requirement of password. It easily restores your locked iPhone without passwords only if your device is fully synced with iTunes. If your device has not synced with iTunes before then you might face difficulty in restoring your iPhone. Apple's iCloud is a cloud storage that maintains the backup of your Apple device. iCloud's other quality is that you can restore your iPhone to factory settings while one has to upkeep a backup for future use. However, iCloud may fail to work in case your iPhone has not enabled Find my phone feature. Also, iCloud cannot work in a case where the internet connection is not stable. So if you are looking for the easiest way of getting into a locked phone, without undergoing any complex range of steps, it lies in the upcoming part. The only tool that can cater in unlocking your iPhone is Tenorshare 4uKey- the amazing software, useful in getting into your locked iPhone without typing the password. With 4uKey, you can get hold of your device's password like Touch ID, Face ID, passcode or any other security portion conveniently. It also facilitates in completely factory resetting your device and assuredly works with both the Mac/Windows systems freely. Step 1: To start off with the process of unlocking the locked iPhone without using password, the very beginning step would be of installing 4uKey tool on your PC/Mac right away. After that, use a lightning cable, to link your iPhone to the computer respectively. Step 2: Once the software fully installs on your system, you must ensure to give consent to the required permissions. This will direct the program to go on an auto detection of the iPhone; you established the connection followed by pressing the 'Start' tab. Step 3: When the start tab processes, the program will be redirected towards the download firmware package page. Allow the firmware to load on your system. Thereby, opt for the desired save path and then click on 'Download' button for processing an entry into the locked iPhone without having to use the password. Step 4: Last but not the least step is to click on 'Start Unlock' tab to get into an iPhone without having to use any passwords at all and that's it! This way, you can drive to unlock a locked iPhone without the password, passcode. 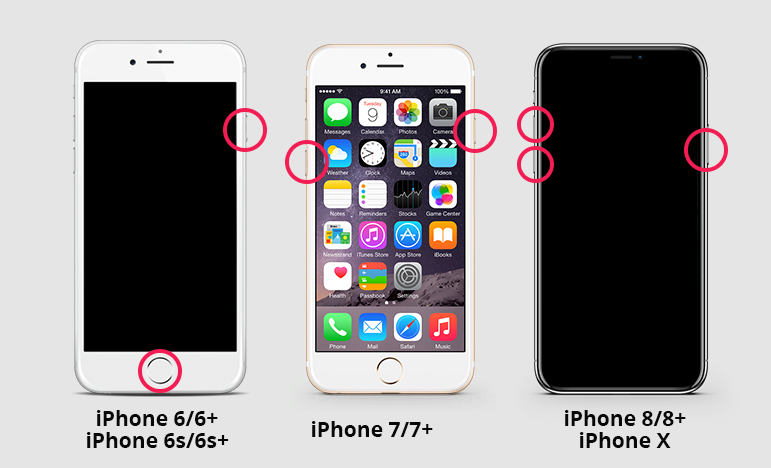 In a nutshell, getting into a locked iPhone has become easier than ever. One doesn't have to explore various ways to sort out any locked iPhone. We've discussed three ways via which one may get into their iPhones without password or passcode. One may consider using Siri, iTunes, iCloud method, without neglecting its drawbacks. But, if you want a perfect solution, then you can place your faith in Tenorshare 4uKey tool. Not only does it unlock your device but pulls your iPhone's locked state flawlessly. It is also helpful in surpassing the Face ID, Touch ID and passcodes too!